Although a scoreless draw by lacking a decisive factor, Cerezo managed to earn 1 winning point from the away match. And Jun Nishikawa made his J-League debut with high hopes for the future. It was the 2nd game of J League YBC Levain Cup’s group stage. Further to the opening match against Oita Trinita, another away match vs Vissel Kobe, Cerezo Osaka sent Matej Jonjic and Souza in the starting line-ups successively from the last league match. Takaki Fukumitsu and Kentaro Kakoi also made their 1st staring member appearance at the regular match in this season. The U-21 frame was taken by Ayumu Seko again, and Jun Nishikawa from Toko Gakuen, who was certified as a special designated player of JFA J League on the 8th and was announced on the 5th of this month about the signing to the club from the next season, joined as a substitute. 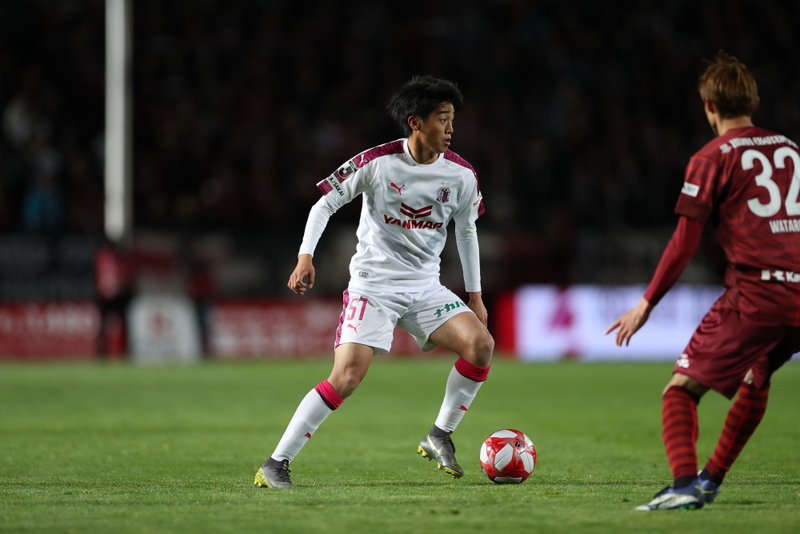 In the 1st half, both teams started cautiously, kept their balance, and Cerezo tried to attack the goal by making the left wing-back Kakeru Funaki as the starting point. In the 11th minute, Bruno Mendes fought for the cross from Funaki, and Atomu Tanaka made a shot on the loose ball. They earned a CK from this play and Souza aimed the direct shot to the far side of the goal but denied by the GK. Also, in the 13th minute, to Naoyuki Fujita’s long pass from the other side Funaki made a cross again but couldn’t get the timing right. In the 14th minute, Seko sent a feed and Fukumitsu made a run and took a chance, however, couldn’t synch well with his fellow player and missed out to finish off. Kobe seemed getting their rhythm from middle of the 1st half, but Seko threw his body and defended against Kobe’s one-top forwarder Wellington. Cerezo’s GK and CB blocked opponent’s crosses, didn’t allow Kobe to shoot, and the 1st half ended 0-0. Into the 2nd half, it was Cerezo who had a chance 1st. In 51st minute, Tatsuya Yamashita joined attack from his right-side position, and made a cross. Bruno Mendes couldn’t get it near the goal, the ball went through to Tanaka, but he couldn’t make a shot either. Immediately after that, Cerezo linked the ball from Yamashita to Fukumitsu to Mizunuma who made a cross from deep, but Bruno Mendes couldn’t make a shot. In 57th minute, Lotina sent Nishikawa as a substitute to Fukumitsu. It was Nishikawa’s J League debut, and eyes were on him. 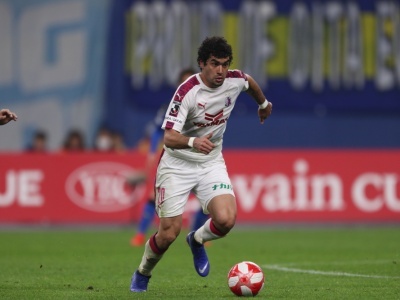 Cerezo supporters were holding their breath and watching out for him, and although he looked rather nervous at the first on the pitch, in 63rd minutes, he made a high pass to Souza by his left foot and produced a chance, that made him relaxed on his move, and had a crucial chance in the 68th minute. Fujita intercepted Kobe’s through-in at deep in their territory. Nishikawa took the ball, passed it to Mizunuma and ran forward. He received the ball back from Mizunuma, made a feint by the goal line, and took a shot by right foot. The sharp ballistic from near the post attacked Kobe’s goal, but blocked by GK, and it didn’t become his 1st goal at the debut match. Nishikawa involved in more chances after this play. In 74th minute, from the counter, he carried the ball by dribbling, and made a shot by his left foot. The shot he described the moment as ‘tried too hard’ after the match, the ball went well over the bar, but that was the play we felt his determination. In 77th minute, Cerezo faced a threat by Kobe’s 1st shot to the goal, but the heading shot by Junya Tanaka was reached out by GK Kentaro Kakoi and hit the post. Then Matej Jonjic cleared it and the moment was saved. Right after that, Cerezo put Ken Tokura at one-top forward position and made their attack active. In 79th minute, Tokura fed a ball to Mizunuma to make a cross, and Souza headed it aiming the goal. In the 86th minute, Tokura dribbled from the counter, passed the ball to Nishikawa who ran up from behind, then Nishikawa made a cross direct into the box. Tokura tried over head shot but just missed the timing. Also, in 89th minute, Nishikawa made a cross to the ball came from Souza at the other side. Tokura made a shot but it was straight to the GK. In the 2nd half, although the manager Lotina described ‘I am satisfied how the team played when they were possessing ball. They dug into the opponent’s territory’, Cerezo lacked a decisive factor and wasn’t able to score a goal. They couldn’t get the 3 winning points that they were longing for, however, the substitute Nishikawa showed the hopeful play and activated the attack, also Cerezo defended well and kept the clean sheet. Seko’s confident play gave us a good impression too. 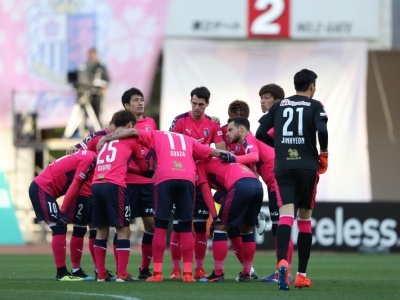 After the 0-point opening match against Oita, Cerezo showed improvement on both defense and offence, and earned 1 winning point from the away match. It was the first step of breaking through the group stage for the cup.